Fractions are one of those math concepts that confuse students. It's a tragedy when students don't master understanding them because fractions are…well…EVERYWHERE! No matter what topic we teach, if we can have it relate to their world, things that they have experience with, the knowledge will stick. Here are some methods that I've used and have found them to have mental “stickiness”. One of my most popular freebies is Pizza Pie and the Number Line! Why? This activity takes the very familiar visual for fractions, pizza, to help students make the connect to fractions on the number line. You'll see eyes light up as the straighten out their “flexible” number line on their paper to mark fractions. It will finally click! Check out the video below to see it in action. Any time we teach math in a hands-on way, more information sticks! Why not pull out some LEGO bricks? Get your students working on partitioning. 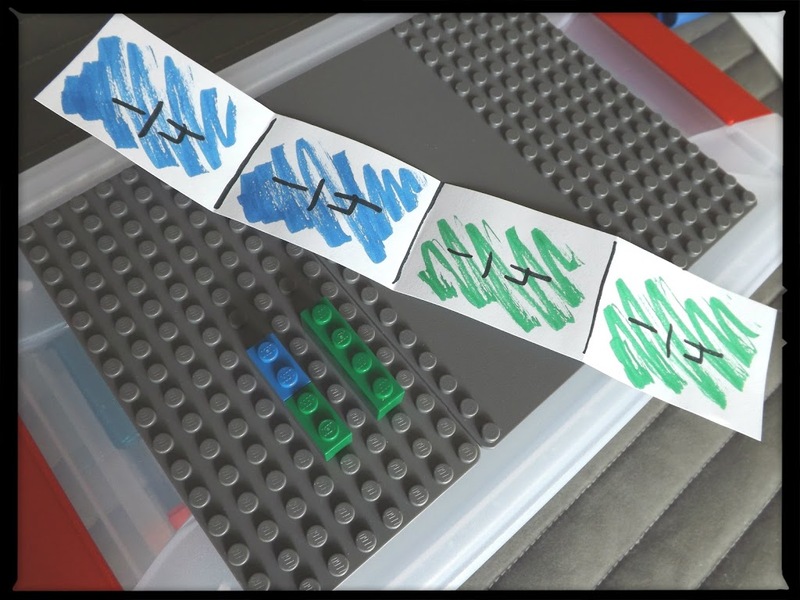 Start out by introducing your students to some LEGO terminology. Explain that the knobs on top are called “studs”. Pull out a 1 by 1 or a 1 by 2 and tell them its name. Ask them if they know what 1 times 2 is. Why would LEGO name this piece a 1 by 2? Could they have called it a 2 by 1? Play a little game you could call, Name the Brick. The students would then tell the name and also tell you how many studs it has. You could then change the game to, Name that Fraction. Students could name a brick with four studs, fourths. 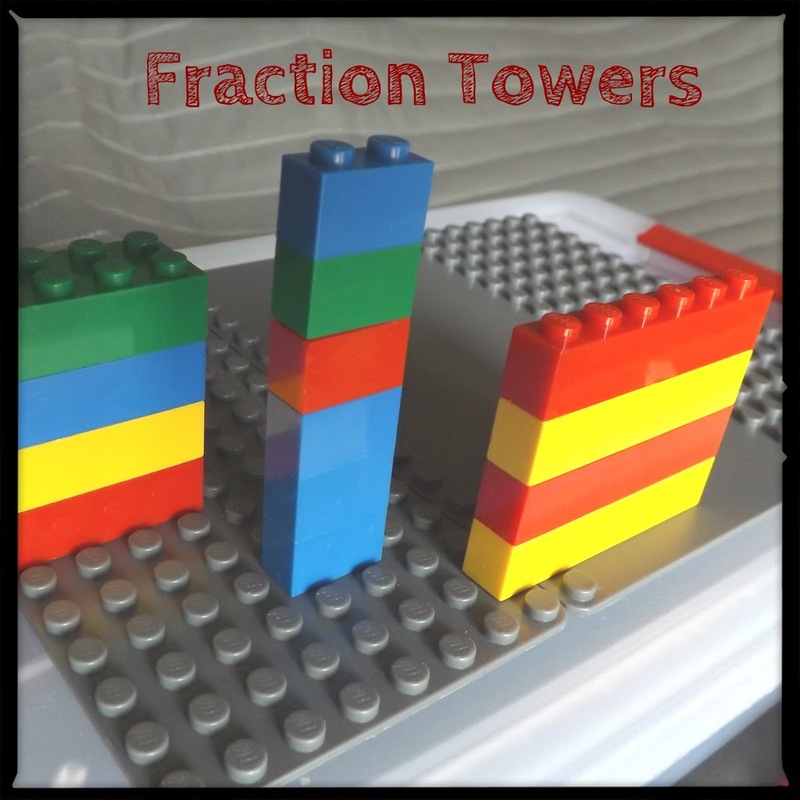 You could also make fraction towers with LEGO bricks. Students can make their own towers and represent various fractions with different colors of bricks. Be sure to check out this awesome LEGO idea from Frugal Fun for Boys. Okay…one more for LEGO. 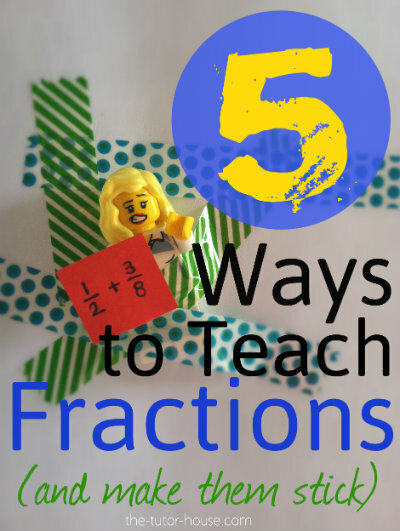 Scholastic has a fantastic post with free printables for using LEGO bricks to teach fractions. Check it out here! Over the years, I've watched students struggle with fractions when they are in upper elementary and even in high school. When I apply fractional rules at times, my students will look at me like I've done some sort of magic trick! I created what I call Fraction BFF's. 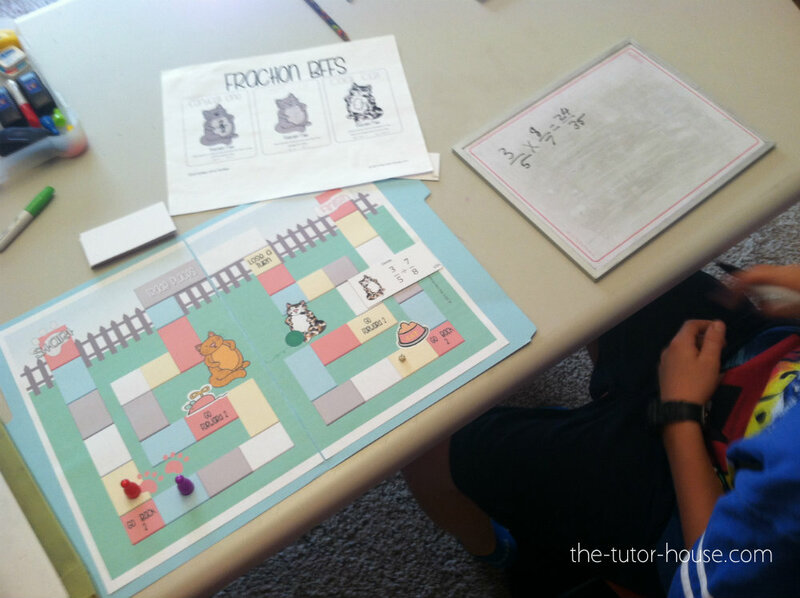 These fraction cats will help students master three rules for working with fractions. If they get these down, they can do anything! Download my freebie to learn their names and what fractional rules they are attached to. Be sure to check out my entire pack of resources for working with these Fraction BFF's. I've seen my students that have worked with these fractions come out as the top cat in their class! While I love using circles for fractions, I also think it is wise to use other shapes like rectangles or squares to build on making bar models. Making larger fractions with rectangles is much easier than it is with a circle. Make it fun and memorable by creating your own pretend cake shop with any color of play dough. 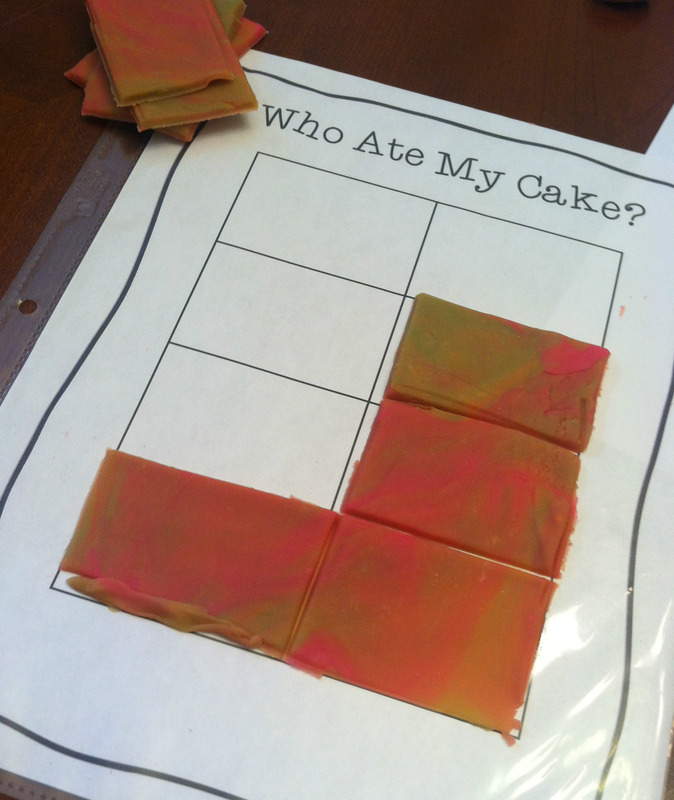 Then I suggest playing, “Who Ate My Cake?” a game from my sister site, Math Stations Central. I love when I can engage a reluctant learner to have some fun with me. Cootie Catchers are definitely one of those things. 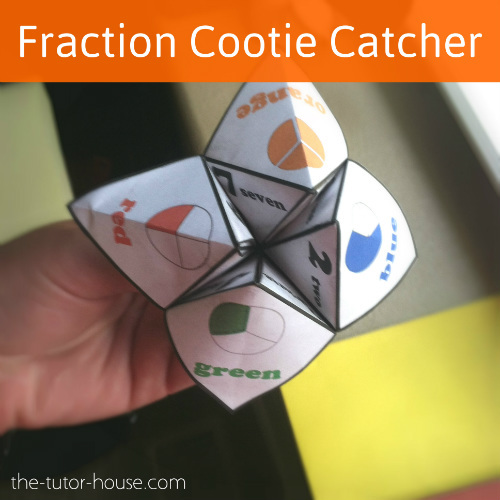 Jen Runde makes the most awesome fraction cootie catchers. I bought one the other day and I've had a blast using it with my students. We have used it as a review for all the work we've done this year with fractions. It's been fun to watch them mentally work through the fractions because it was perceived as easier than writing them down. Love that! What methods have you used for teaching fractions? What have you found helps them stick? 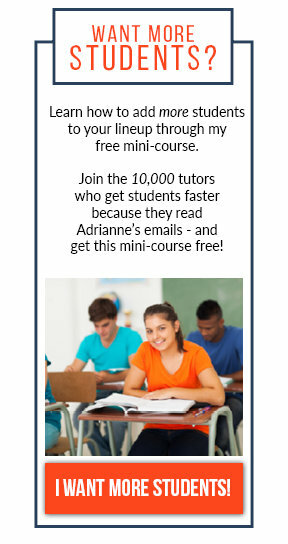 Have you contemplated starting your own tutor business? You've found the right place! Stick around and check out all of the helpful posts I've written. I highly suggest starting by digging around on my Business Tips page and signing up for my newsletter (you'll get a free eBook when you do). 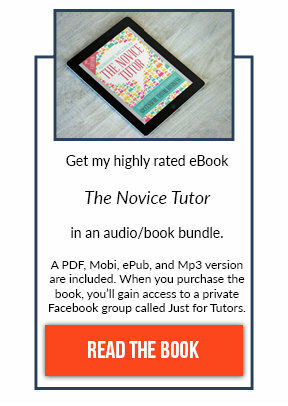 You'll get all the latest info and I love sharing what is working with my tutor business and what isn't…don't miss out!